The Secret to Never Building The Wrong Thing Again. Step 1: Have a great idea. This usually occurs in the shower, because that’s where all great ideas happen. Step 2: Figure out exactly what problem that idea solves. Step 3: Build the product. Step 4: Find customers who have that problem, convince them to use your product. But there’s something very, very wrong with building products this way. You don’t talk to customers until Step 4, when you’re trying to sell your product! What happens if you try to sell it, but no one wants it? What happens if you only discover you built the wrong thing after you’ve built the whole product? You’re in a whole lot of trouble, that’s what happens. You’ve invested a tremendous amount of time, money, and resources into a solution for a problem no one has. 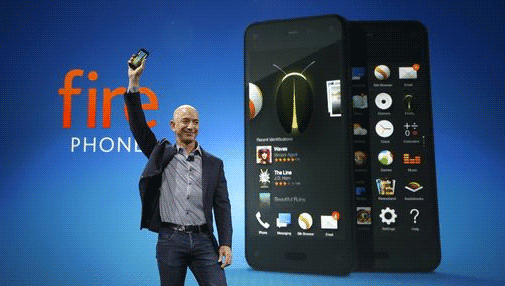 This is exactly what Amazon did with their new Fire Phone. Within a month of launching, they barely shipped 35,000 phones. Nobody wanted it. Amazon cut the price from $200 to 99 cents. It didn’t help. Then they more or less gave up on Version 1 of the phone, writing it off as a 170 million dollar loss. They pledged to make Version 2 better by learning from the criticism, the feedback, and from their customers. What lesson should they have learned? What could we have taught them? Step 1: Choose a customer segment. Step 2: Talk to them and find out what problems they have. Step 3: Develop a solution for those problems. Step 4: Sell the solution to the people who said they had that problem. Go talk to your customers first! Not to validate your product idea… but to find out what problems they actually have. Then go build something that solves those problems. 1) Discover if the customer segment you chose is a good or bad customer. You may discover it’s difficult to reach that customer segment (people in another country), they don’t have a lot of money (students), or they hate spending money (restaurants). If you discover this at the very beginning, it’s fast, easy, and inexpensive to switch to a new customer segment if you want to. If you discover these problems after you’ve built the product, it’s expensive and likely too late to address them. 2) Find out what your customers biggest problems are by going through an explicit problem discovery phase. People tend to focus on the first problem they find, or the one that resonates with them the most, but those rarely turn out to be the most important ones. Discovering lots of problems ensures you solve a problem important to the customer, and it’s always better to solve a “Top Three Problem” than it is to solve Problem #17 on their list. Once you’ve discovered many problems, you can choose which one you want to solve. 3) Once you decide on a problem, go through an explicit solution generation phase. The goal is not to think up one solution, but thirty. It’s easy to get attached to your first idea about how to solve a problem, and most people just stop there. But if you come up with thirty ideas, you can choose to explore the three most promising ones. 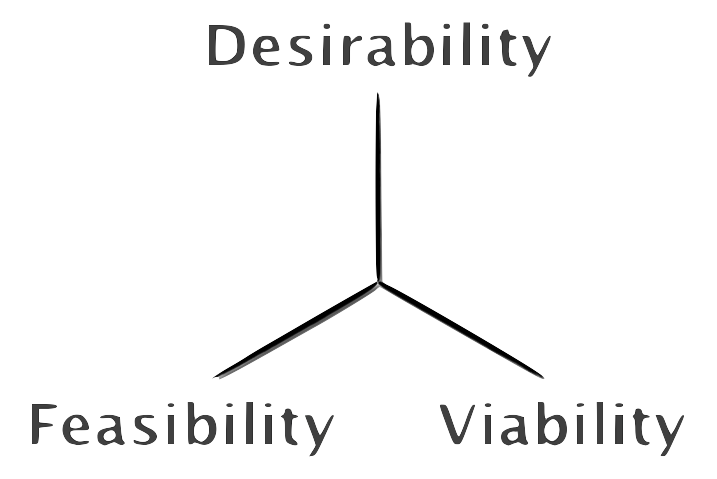 Run some experiments on those three, and you’ll uncover which is the best idea. If you only have one idea, you’re going to risk everything on your first idea. One of the biggest challenges to this approach is letting go of your own ideas, and instead trusting the discovery process to reveal the best customer, the best problem to solve, and the best way to solve it. Accepting a small increase in the time to market is another common challenge. Most companies take shortcuts or skip this phase completely to get the product out to market faster, but they’re failing to adequately weigh the risks. Rushing through or ignoring this process drastically increases the chance of building the wrong thing, and the cost of building the wrong thing is massive. Spending a little more time and money on the front end to ensure you’re building the best right thing means you’ll be able to deliver incredible value to your customers. Not doing it means risking the fate of your project or company. Every seat was taken 15 minutes before we were scheduled to start. It was well beyond standing room only, as people flooded out into the hallway. Our break-out session at the Lean Washington Conference was absolutely overflowing (Maybe it was because I hid the “Session Full” sign). Wonful had been given 50 minutes to speak at the Lean Washington Conference in October. 2700 Washington State employees came together for a two day conference to learn about Lean, Kanban, process improvement, Agile, Pre-Agile, and the latest in getting work done better. Instead of talking at our audience for an hour, we decided to run a much more interactive session. Once the room quiets down, we have a list of twenty or thirty behaviors on the board. Some ridiculous and silly, but many realistic ones as well. Instead of thinking about what they could do to succeed, the first phase of TRIZ gets people thinking about all the behaviors they could engage in to ensure failure. People called out behaviors they’d engaged in, or seen others do over the last day. As people called them out, we circled them on the board. More than half of the words on the board were circled. The answers to this question can be really surprising. People never realize how they’re actively engaging in so many behaviors that hurt their own chances of success. By calling out and identifying them, people are a lot more aware of them when they happen. One person decided to stop bringing she phone into the conference center, so she physically couldn’t check email. Someone else wanted to stop dismissing presenters just because they said one thing he disagreed with. Another person said he would stop leaving home without a notebook and pen. These are all behaviors people acknowledged they currently engaged in, and pledged to stop. If someone notices they have their phone in their pocket as they’re getting out of the car, they can put it in the glove compartment. If another attendee notices themselves getting upset at a presenter, they can check in with themselves and keep listening. It’s important to notice something. You are not starting new behaviors. I’m going to repeat that because it’s very important: You are not starting new behaviors. You are stopping old ones. Phase three of TRIZ is all about calling out what you should stop doing. Organizations often put new processes in place to stop something bad from happening. A bus driver must stop to rest every six hours. A bus driver must get 8 hours of sleep the night before a drive. A bus driver must eat a healthy breakfast that morning. A bus driver must have water, snacks, and caffeine pills to keep them awake. The rules keep stacking up. After all, it’s really important that the bus driver doesn’t fall asleep while driving a bus full of people. But at some point, there are too many rules. Even the most well intentioned bus driver forgets Rule #17. If you work in a large, or old, organization – you can probably relate. There are so many rules around some processes, it’s almost impossible even for the well intentioned to follow them all. But, if one of the answers to our first question was “Bus drivers drive when tired,” what if the rule was “Do what you need to do to stop driving while tired.” We can erase ten other “you must do” rules by simply encouraging people to “you must not do” a single behavior. This reduces the complexity of the rules, the complexity of the overhead of managing those rules, and encourages more innovative ways to accomplish the ultimate goal. 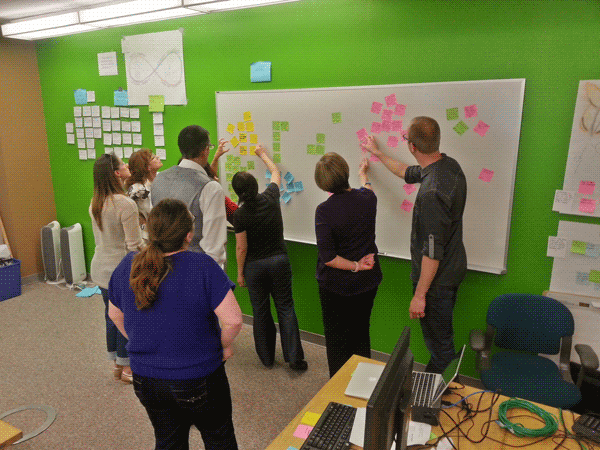 So to recap, use TRIZ to brainstorm behaviors that ensure the failure of a project or task. When they’re brainstorming behaviors, encourage them to get silly and ridiculous (even the silly ones, like “wear ear plugs and a blindfold,” can have roots in reality). Egyptians drive chariots, not cars! I want you to imagine you’re a farmer from the year 3117 BC – way back in the ancient Egyptian times. Imagine, one day while farming, you find a mysterious hole in your field. You walk up to the edge, peer in… but then lose your balance, faint and fall in! When you wake up, you’re in the year 2014… and you’re sitting behind the wheel of a taxi in Midtown Manhattan! 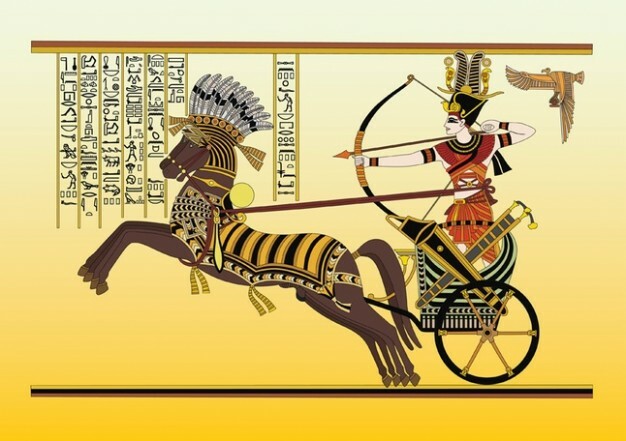 You’re pretty smart for an ancient Egyptian, so you figure out that this vehicle is some sort of horseless chariot… but you must still be so confused! You don’t know how fast you’re supposed to go, you don’t know which side of the street you’re supposed to drive on, and you don’t know why people keep waving at you and trying to get in your chariot! You don’t understand any of the rules of driving a taxi. But will you know how traffic lights work? Will you know that you can make a right turn on red? Will you know you’re supposed to pass in the left lane and cruise in the right? There are rules to customer interviews. Follow them, and you can learn more from your customers than you ever imagined. Break them… and risk basing your entire project, product, or organization on bad information. And that can mean catastrophic failure. Just like “Red means stop,” these rules are easy to remember and easy to understand. Unlike “Green means go,” these rules are a lot harder to master. But keep them in mind as you do your interviews, practice, and just like parallel parking – you will get better. And you will be amazed as the quality of the stories you hear from your customers skyrockets. “Do you want ice cream?” The answer to this question is ALWAYS “Yes!” (What sane and rational person would answer “No” to this!?). Ice Cream Questions are when you purposely hold back a key piece of information that you know will change the answer to the question. But if you ask “What’s the worst part of having a dog?” and they say “I hate when my dog smells bad!”, it’s MUCH better validation. Rule #3: No Leading Questions, No Pitching. This is pretty self explanatory. Pitching your product idea and asking leading questions are “pushing.” Don’t do it. Have a friend sit next to you when you interview and tell them to kick you in the shin if you ask one. How likely is it this customer will go to the gym every day for the whole year? Not very likely. But what if they had gone to the gym 5 times a week, every week, for the last year? Suddenly… it becomes a lot more plausible. What people HAVE DONE IN THE PAST is the best indicator of what they WILL DO IN THE FUTURE. Don’t ask “would you ever” or “do you think you would” questions. Instead, ask “Have you ever” and “tell me about the last time” type questions. When you ask someone what they will do in the future, they will tell you what their Ideal Self will do. I see myself as someone who goes to the gym everyday for the next year. If you ask me what I’ve done in the past, I’ll tell you about my Actual Self, who only went to the gym twice last year. If you’re basing your product off what you learn from your customers… do you want to make decisions based on how your customers think they’ll act… or how they actually act? If you hear something from one person, it’s not necessarily representative of the whole. Keep talking to customers until you start to hear the same stories over and over again. Ask the person in the office next to you “What’s the best home cooked meal you’ve ever had in your entire life?” Look at their reaction. They sit back. Their eyes glaze over a little bit. Their shoulders drop and they sigh. That’s a really hard question! 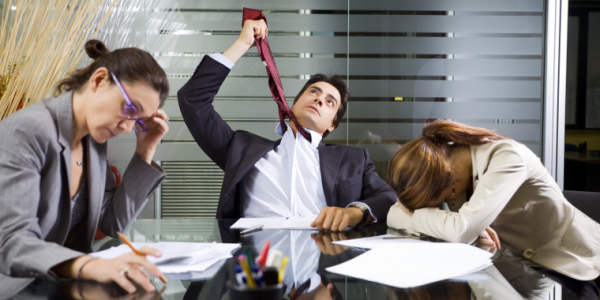 You don’t want to overwork your interviewees. Instead, start with an easy question. If you want to know what makes a great home cooked meal, start with “What’s the last home cooked meal you’ve eaten?” Keep asking follow up questions, and eventually you can be sure they’ll talk about what makes a great meal. We all know you want more than just “yes” or “no” answers to questions. But there’s more than just that – you want to ask questions that elicit STORIES, rather than facts. Lets say you ask someone what exercises they did last time they went to the gym, and they say “I do pullups, pushups, and squats.” Okay. Got it. That could mean they do 10 or 15 each throughout the day at the office. Or, maybe they do Crossfit and do they do 200 one handed pull-ups in 5 minutes! If you had gotten the story of their last workout, instead of just the facts about the exercises they did, you’d reveal some pretty important information! If you’re building a product, you CAN’T assume anything. If you just get the facts, you have to fill in the details and make a lot of assumptions. So there they are. The eight rules of customer interviews. Use them wisely so you don’t accidentally drive into oncoming traffic like our poor Ancient Egyptian friend. There is one type of person in the world: People who hate meetings, and people who love well-run meetings. He was heading out for lunch when he glanced at his calendar… and saw he had a meeting half a mile away that started in 10 minutes! He didn’t remember anything about this meeting, but sprinted across campus to make it on time. He walked in just as everyone was sitting down. People settled in, look around, and then… the room went silent. People looked around some more. Everyone was waiting for someone else to start. Everyone laughed. No one in that room had ever even met each other. This is definitely one of the worst meetings I’ve heard about, but everyone has meetings like this (although maybe not so obvious!). Hating meetings is a popular meme, but why do people hate meetings? Because they’re boring. They’re unproductive. You often don’t even know why you’re there or what the purpose of the meeting is. Every meeting should exist to do ONE of these three things. And before any meeting, everyone should know which of these three types of meetings it is. Is the purpose of the meeting to decide something? If so, make sure you have deciders in the room. Make sure they know what they’re going to be deciding on. Make sure they know you’re all walking away from this meeting with a decision. Is the purpose of the meeting to discuss something? If so, make sure the people in the room know what you’re discussing. Make sure they’re the right stakeholders to discuss that topic. Make sure people have the information they need to have an intelligent discussion. And make sure people know there is no expectation of coming to a decision in that meeting. Finally, is the purpose of the meeting to inform the group about something? Are you telling people about a new policy or rule? A new hire or fire? Make sure people know this is largely going to be informational, and not a discussion. The worst part about meetings is when people have mismatched expectations going into them. If my boss think this is an Inform meeting, but you think it’s a Decide meeting… there’s going to be some conflict and some frustration. If you’re interested in exterminating boring and unproductive meetings forever, Wonful is running a public workshop: Liberating Structures: Stop Unproductive Meetings, Start Producing Dramatically Better Results. The workshop is January 21st and 22nd in Seattle. Use the code InnovationAtWork for 10% off!